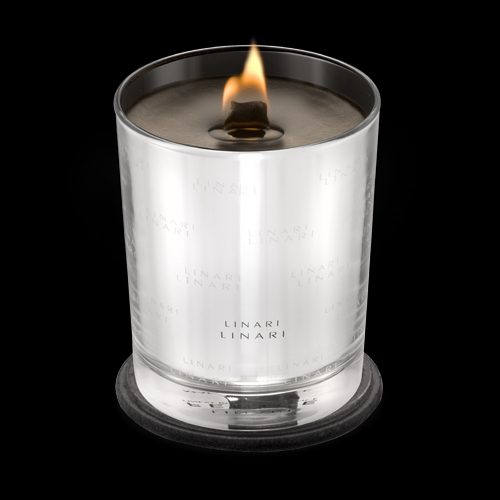 LINARI products included Room Diffusers, Sprays, Candles and Bases. Diffusers are perfect, eye catching home decoration, with beautiful outlook and amusing sent. 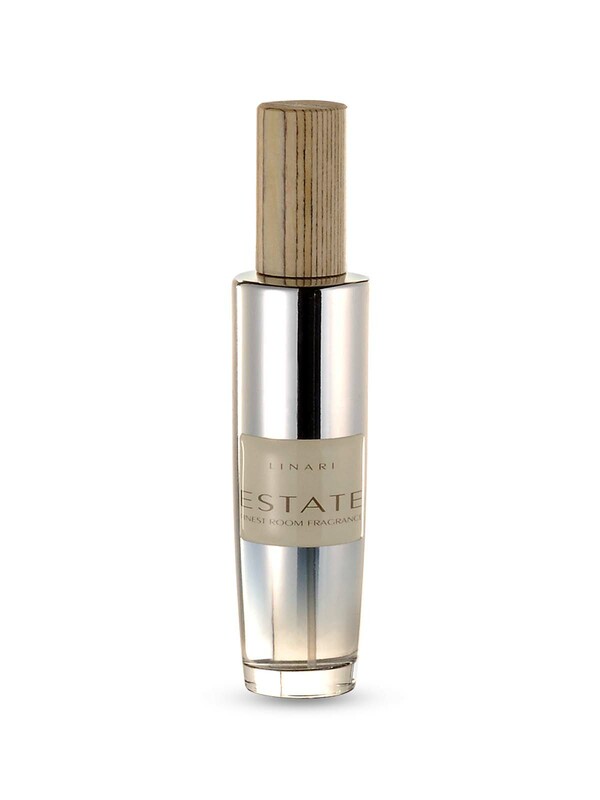 The activate principle of LINARI diffusers is that the fragrance slowly moves out of the flacon up the wooden evaporating sticks and pleasant Eau de parfum can distribute itself unobtrusively in the room. 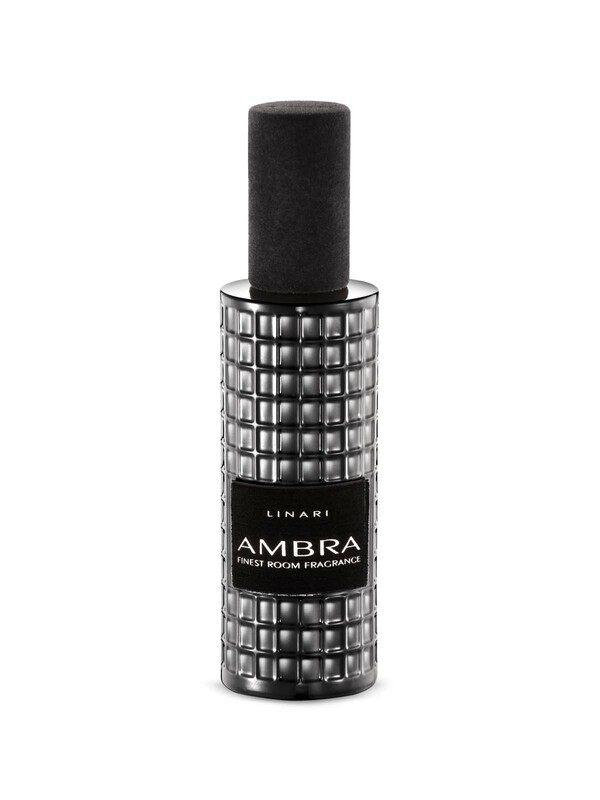 Diffuser last minimum 6 month and 500 ml flacons are available in an assortment of 14 high glass fragrance systems. 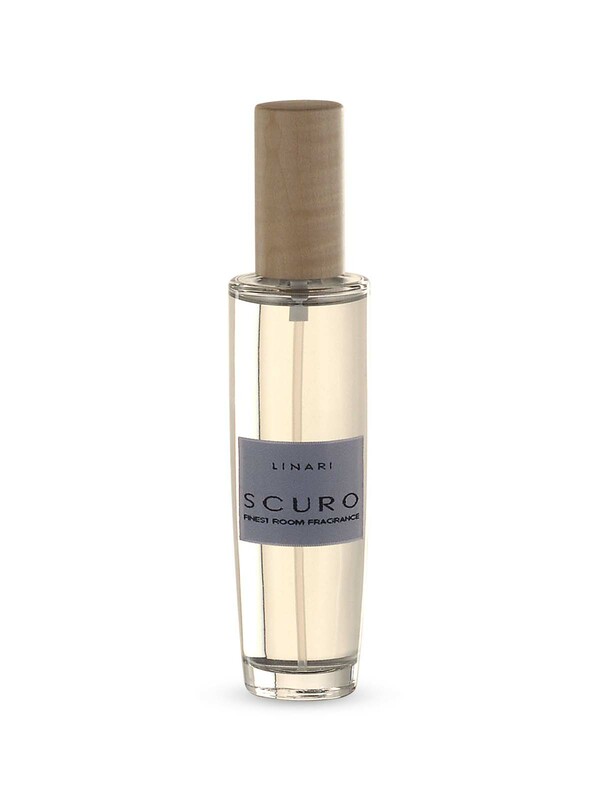 The LINARI room sprays possess a timeless minimalistic design and can ideally be used to create an immediate and reliable scent atmosphere. The puristic flacons are manufactured out of Italian glass and come with precious metal, floculated or wooden caps. The 100ml LINARI room sprays are available for all LINARI high class fragrance systems. 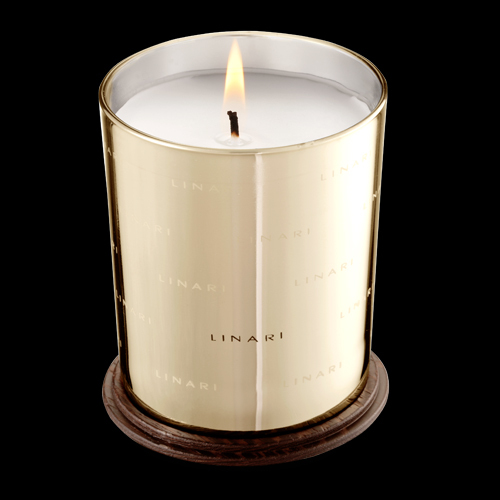 Deliciously scented candles are hand poured in France by one of the most famous candle producers known. 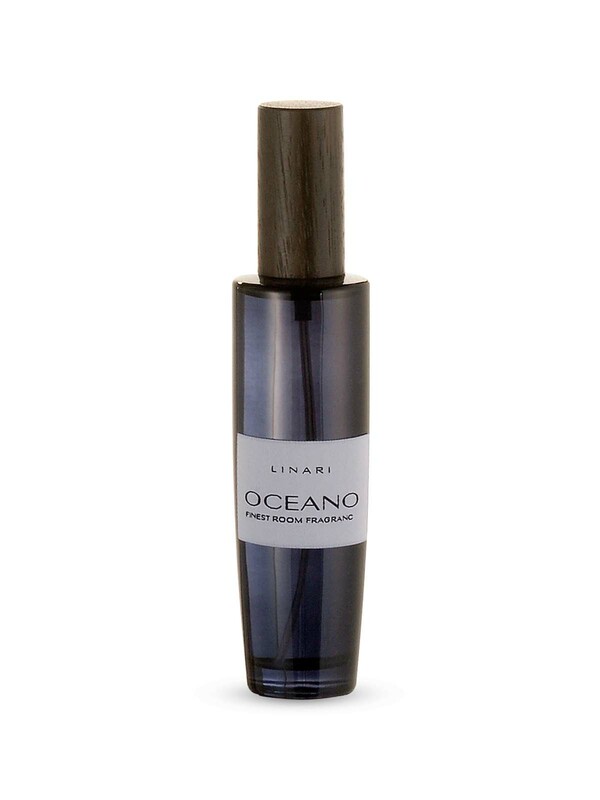 High quality wax has been created to allow a almost immediate fragrance diffusion as soon as the wax is warmed up. Amusing scent, French glass container and wooden lid makes candle a perfect product to every surrounding. 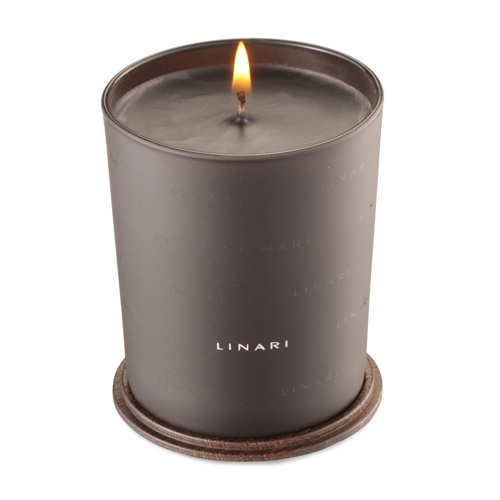 The beautiful wooden lids can be used to cover the candle when it not in use, helping to keep the surface clean and free of debris, and become a stylish coaster when candle is burning. 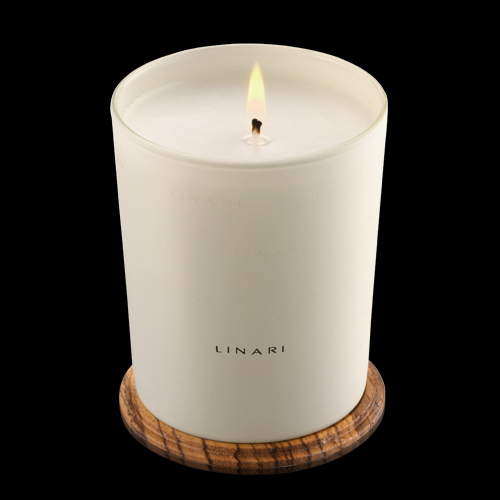 Wooden bases can be used with any LINARI diffuser or scented candle to emphasise the minimalist design. They can also be used as a luxurious tray for jewellery etc. 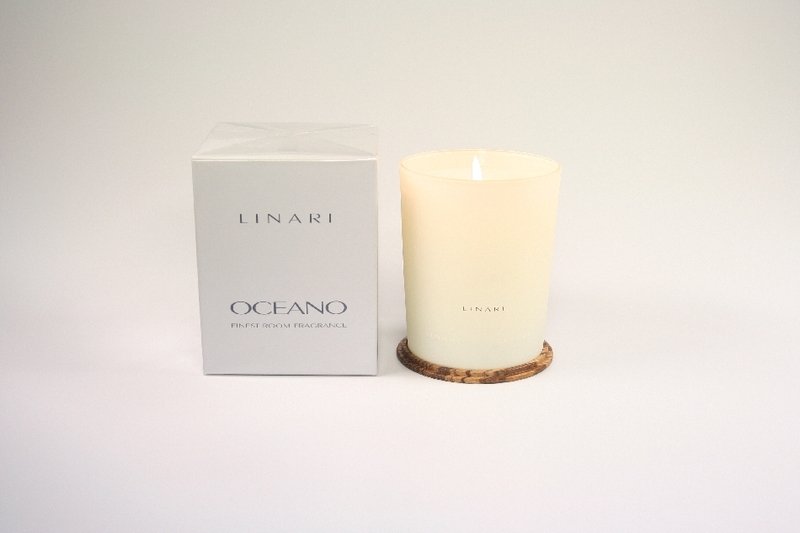 or as a coaster for other premium, scented candle. Available in pale maple, dark wenge and with zebrano wood.